When you are trying to juggle all the responsibilities that come with being a small business owner, it can all start to get on top of you. Do you find yourself working in your business rather than on your business? 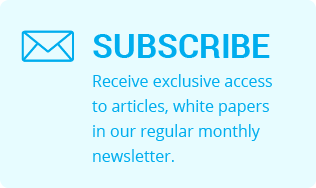 Let us help you organise your information needs and offer professional enterprise guidance so you know what’s happening now, rather than what happened 12 months ago! It is important to keep a handle on what is going on in your business. Employees in a small business will often use their expertise to work independently towards your business goals. This means you are often out of the loop on much of what goes on. As such, it is important to have a broad report, covering all aspects and personnel in your business, illustrating successes and failures that will guide future management decisions. Through the use of accounting management software, we can customise your information needs to provide real time analysis of your day-to-day. We can report on profit/loss margins and other key performance indicators to help you guide your business. An annual financial report is essential for businesses in order to comply with laws. These documents are also used by banks and investors to approve loans and lines of credit. Worried you may be missing something? Don’t be. We keep up to date with the legal requirements of preparing financial statements and assist with collating your financial information like balance sheets and profit-loss statements into one document. 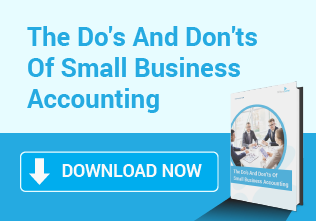 This gives you peace of mind everything is above board with your business and that your accounts are a reliable and accurate indication of your financial position. One of the main questions that keeps business owners awake at night is ‘‘If I made this profit, where did my cash go?’’ Keeping track of your investment in your business versus your return as profit is essential to deciding what works and what doesn’t. Preparing budget and cash flow statements is vital to charting your expected business performance and analysing the successes and failures along the way. We can assist in gathering data, creating charts and tracking your cash flow and budget to ensure you keep within your expectations. When you run a small business, the phrase ‘sometimes you can’t see the forest for the trees’ is very applicable. You may have been running things a certain way for so long that you are too close to see the structure you are operating with isn’t actually a fit for your business. We can evaluate your current structure and based on your needs, be it asset protection, tax effective structures or capital gains tax concerns, suggest any appropriate changes to ensure you are running as efficiently as possible. We can also set up new companies, trusts and other entities quickly to fit this restructuring. 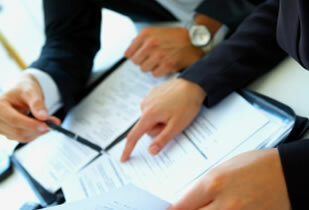 We provide all the services your business will require to keep you in accordance with Australian corporations law. This includes preparing meeting minutes, lodging business changes with the Australian Securities and Investment Commission and providing registered office facilities. We can also advise you and mediate on any issues with local government or financial bodies. No solution for why you are struggling to to stay on top of your business? 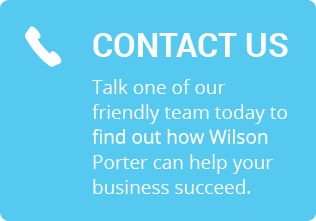 Wilson Porter can deliver enterprise guidance – just fill out our contact form to find out more.